If you are a cyclist, you probably enjoy riding both day and night. Whether you are training, or just enjoy riding, Sigma is a name you have probably come to know. They make some excellent products for cyclists. Living in Phoenix, out of necessity due to the heat, any riding in the summer needs to be done at night. If you do night riding, Sigma just released a new light that is a must have, especially for mountain bikes. It is the Buster 2000. The Sigma Sport Buster 2000 came shipped in a nice looking printed box with photos of the lamp and its specs. Opening the box revealed a well protected light. It comprised of the lamp, large battery pack, and a cord to attach the lamp to the battery, and helmet mount. Materials used was mostly plastic for the battery pack, soft plastic for the cables, and mostly metal for the actual lamp. The quality of materials used was very good, as was the fit and finish. The Sigma Buster 2000 felt like it was built like a tank, able to take years of abuse, even on the off road trails. Also included was the owner's manual, helmet mount, remote control, and it’s mount. The Sigma Buster 2000 looked so impressive I couldn’t wait to get it on my mountain bike and see how well it performed. Rated at 200 meters, I was skeptical. That’s a far distance for any light. Installing the light was easy. The light was mounted on the handle bar, the battery pack mounted on the top tube, remote control was mounted on the handle bar. It was now ready to test it out. And I really liked the design. At 2000 lumens, it takes a lot of power. There are multiple light output settings, and under certain circumstances, such as off road trails, you’ll want the 2000 lumens. And you may want to ride for more than 30 minutes, so the 2.5 hours worth of power on the highest setting is excellent. And in your night rides, you won’t always need the highest setting. Realistically, you could cycle back and forth among the different power settings. The included wireless remote mounted on the handle bar makes it so easy to switch among the different power settings. The different components of the Sigma Buster 2000 provide a perfect example of synergy. The light, the power pack, and the wireless remote are all excellent pieces to the puzzle. But put them all together and you have a home run! When it came time to testing the Sigma Buster 2000, it delivered in Spades. And it’s 200 meter rating is actually correct! It lit up the whole trail in front of me. But not only did it provide a ton of light straight ahead of me, it also lit up my path enough so I could also sufficiently see a bit on the sides as well. Once mounted you will never want to take it off! The performance of the Sigma Buster 2000 was pleasantly unsurprising. That is due to the performance I have came to expect from Sigma and their products. You just can't go wrong with them. Based on it’s design and specs. 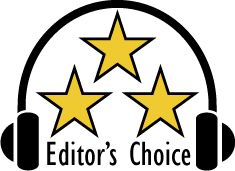 They have earned our Editor’s Choice Award. For more info and specs, check out their website at www.sigmasport.com.